It’s almost 2018 and we couldn’t be more excited for what’s to come. 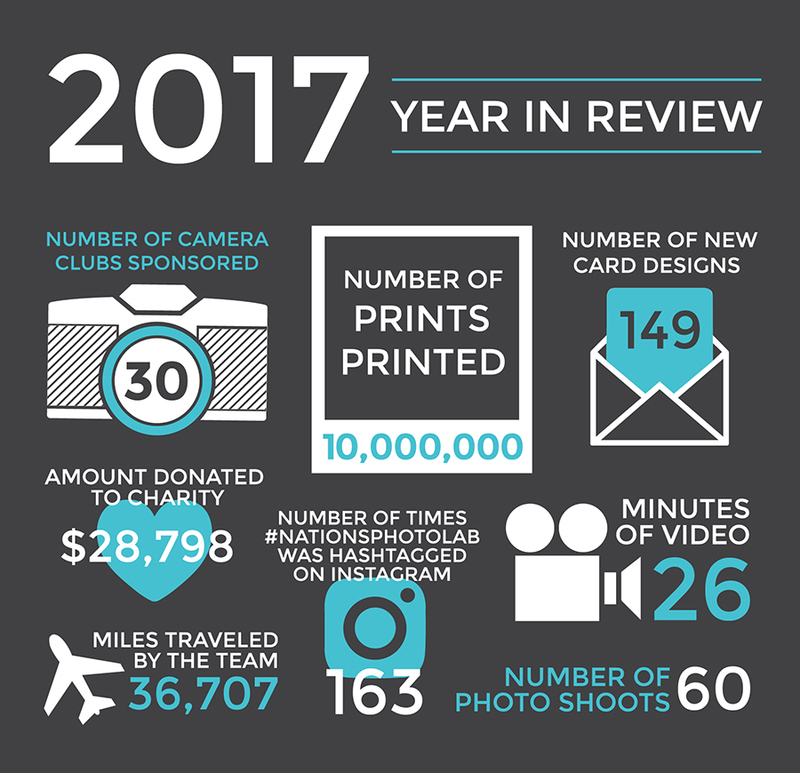 Before we jump into the new year, let’s take a moment to reflect on what an amazing year 2017 was here at Nations Photo Lab. We couldn’t have done any of it without YOU! Thanks for being a part of such a special year. See you in 2018! I am happy to see that the company I support with my photo processing needs is sharing its charitable contributions information. What does Nations Photo Lab support, and do you have plans to become more philanthropically engaged? For 10,000,000 prints – and yes, I realize the margins may be small – it looks like you can do a bit more in 2018.